Kerry's life in recent years has been bedevilled by problems with gambling, drugs and, worst of all, a prison sentence in 2015 after he was convicted of grievous bodily harm following a fight in a pub. At that point, one of football's golden boys finally hit rock bottom. This book is the honest, unflinching account of his rise and fall, and of the new life he is now slowly and patiently building. His memories of playing in a more robust era of the game, before the days of multi-million-pound salaries and all the rest of the modern football circus, will appeal to plenty of nostalgic football fans, as well as to all those who remember him as one of the game's all-time greats. 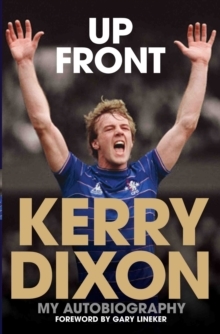 Equally, his unflinching recollections of his darkest days, culminating in his time in prison, are about as far from the Beautiful Game as anyone can imagine. The world is all too familiar with tales of once-famous footballers falling from grace.Up Front, however, is unique at once for its flashes of humour in adversity, its clear-eyed reflections on a different age of football, when leading players could all too easily be treated as disposable, and finally for its humility. 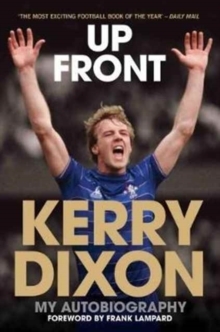 For Kerry Dixon, as this often moving autobiography shows, the only way is up.